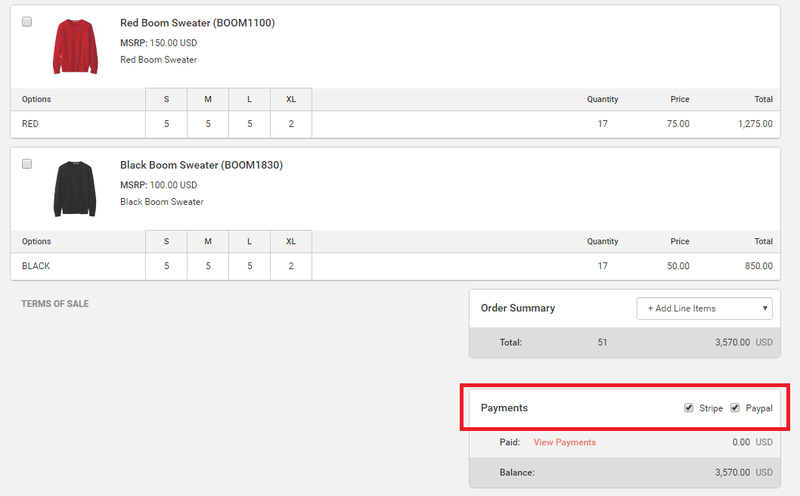 Brandboom invoicing is now integrated with PayPal. In order to collect PayPal payments online, you must have a PayPal business account and a PayPal Merchant ID. Visit PayPal.com to set up an account. PayPal transaction fees apply. To learn more about adding the Invoicing feature to your account, see this article. Once you've added the Invoicing feature to your account, you will be prompted to complete your invoicing settings. You can find the Invoicing & Payment Settings on your Account Page, Settings. 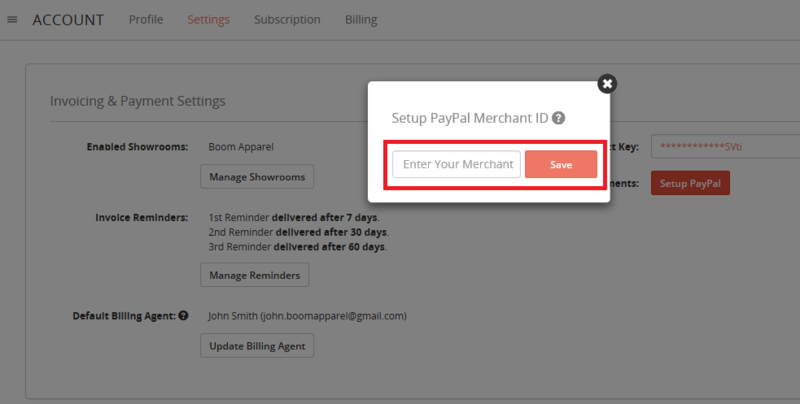 1) Click the Setup PayPal button under the Stripe setup and enter your PayPal Merchant ID when prompted and hit Save. 2) When sending an invoice, be sure to select the "PayPal" check box under the total to allow your buyer to pay via PayPal. Note: By default PayPay is not selected. Once the buyer receives the invoice, they will have the option to use PayPal check out for payment. Refunds for payments via PayPal have to be processed through PayPal. 2) Click on the PayPal transaction ID to take you to the PayPal page where you can refund an event. 3) Once you’ve made the refund on PayPal, you can go back into Brandboom and make an edit to the payment history.